The editorial team of Japan’s biggest bread specialist community website Pansta (“Bread Star”) have announced the winners of “Bread of the Year 2017”. The bread mania returns this year to deliver a careful selection of 7 different breads. Every year the Pansta editorial team picks the best breads of the past 12 months. The “Bread of the Year” rankings are picked up by TV and magazines, announced on a wide scale. Rankings are compiled by the number of posts, likes and audience reach by pan lovers on the website, as well as breads the editorial team find in their everyday activities. 7 breads have been selected for 2017, each in their own category. Signifiant Signifie’s huge popularity is consistent when it comes to bread. It received much attention for its huge bread overhaul this year. Their signature “Baguette Puratanu” is now fermented for 40 hours as a result of the insatiable curiosity of chefs in Shiga. 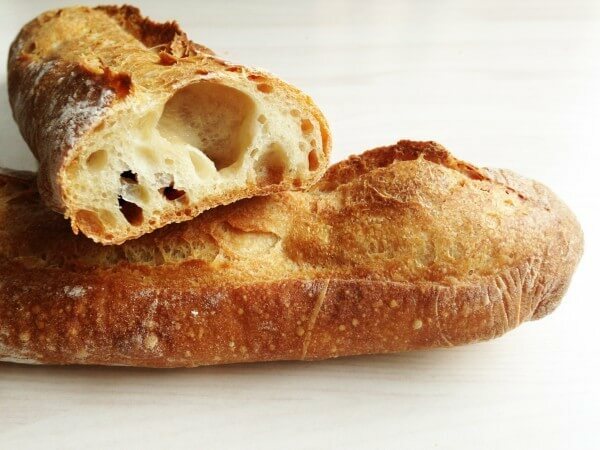 The baguette has an intense flavour and a light aftertaste. Part of its quality is that the flavour stays just as good even if eaten the next day. The Baguette Puratanu can be bought at the main Signifiant Signifie store in Setagaya as well as the Nihonbashi and Tamagawa branches of Takashiyama and online. This immensely popular store is said to have sped up the boom of high-grade bread in Tokyo. Ore no Bakery&Cafe initially opened in Ebisu and had constant long queues of people trying to get in. Another branch opened in Ginza this year. Their “Ore no Seishoku Pan” is so soft that when it’s freshly baked it almost seems like it will sink in on itself just by touching it. The loaf is sold unsliced in two sizes. Its high point is the milky fragrance and sweetness brought on by fresh milk from Nakahora Bokujou in Iwate Prefecture. It’s enjoyed by people of all ages and despite being high-grade bread, many loafs are sold to lots of people. This shop is flooded with customers from the early morning during days off and consecutive holidays who want to get their fingers on the freshly baked croissants sold here. Anyone and everyone can experience personally the goodness of the ingredients when sinking their teeth into one. 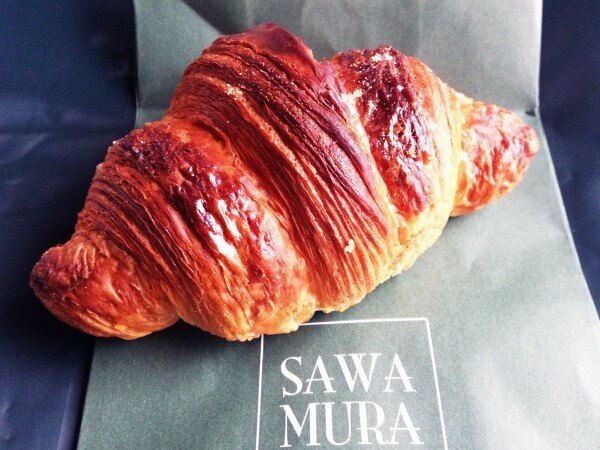 One bite is enough for your nose to be hit with the sweet fragrance of butter from these flaky croissants. The shop looks just like a Paris bakery, lined with big breads that look like campagne. They also have branches in Karuizawa, Shinjuku and Hiroo, so be sure to check it out. 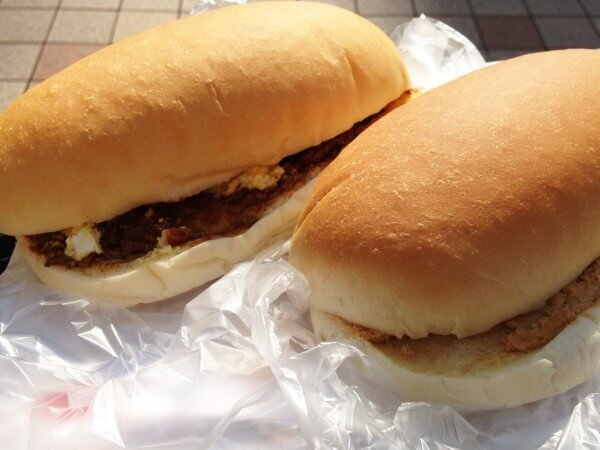 The most popular egg-sandwich chain is TAMAKO. 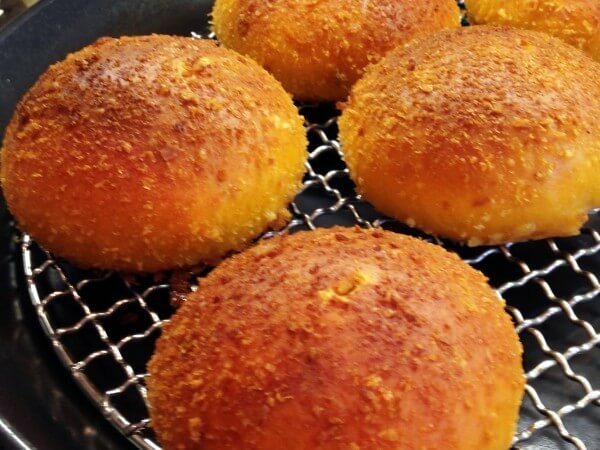 The texture of the rice bread is soft and doughy, filled with egg and pesticide-free fresh lettuce. It may be simple but its delicious flavour is irresistible. 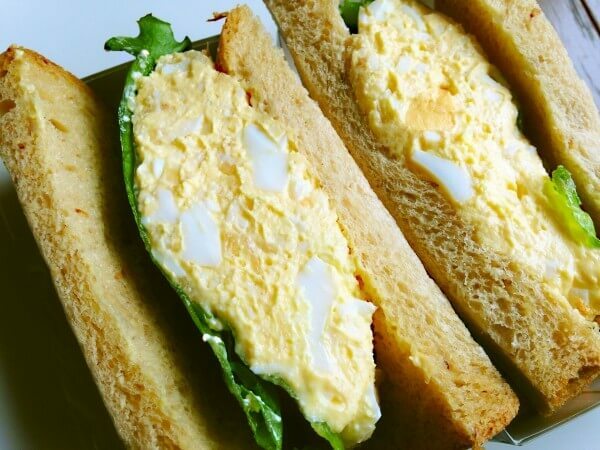 They also have a selection of other sandwiches that combine egg with made different ingredients other than egg. The variety there is huge – you’ll never grow tired of their sandwiches no matter how many times you go. There are also branches in Tokyo, Chiba, Saitama and Aichi. The shopkeeper of Aiwa Pan is confident in the creation of curry breads with background research in the curry of Pakistan. The spices are noticeably packed in there but are condensed into a rich flavour of the curry roux that contains chicken. The tomato based bread has an exquisite balance with the rich curry. The fried bread is crunchy and in fact made with coconut oil making it a healthier option. Yoshida Pan’s strained white bean paste uses one variety of common bean and ootebou navy bean from Tokachi in Hokkaido, giving it a high-quality, smooth and melt-in-the-mouth taste. The texture of the mashed sweet bean paste can be enjoyed with organic adzuki beans from Tokachi that have been cooked with brown sugar from France. Both bring to mind the high-grade flavours of Japanese wagashi and go perfect with coffee. 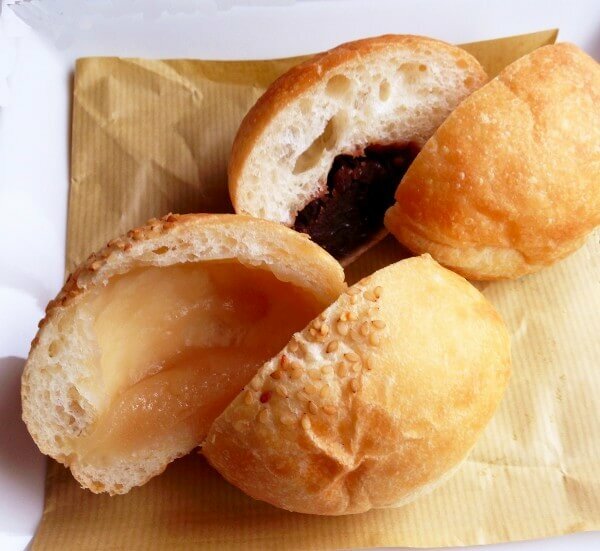 This revolutionary anpan is a perfect balance of traditional Japanese bread made in a contemporary style. 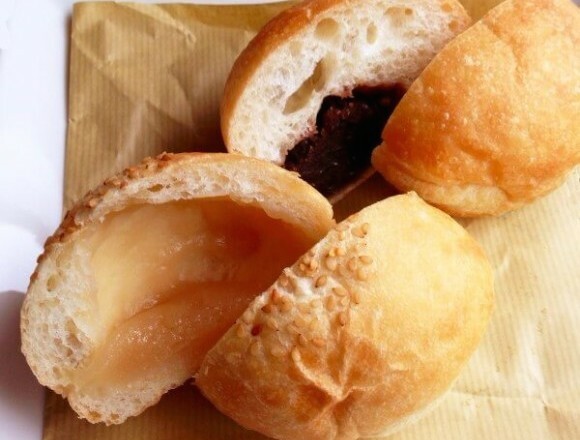 The bread that envelops the red bean is also in its own league with its soft texture and sweet flavour that just melts in your mouth. This big bread roll with its gently baked colour will light up your day even if you just catch a glimpse of it. You’ll be surprised how heavy it is when you pick it up. You select the ingredients and the shop staff will roll it there for you, allowing you to have fun combining your own flvours. 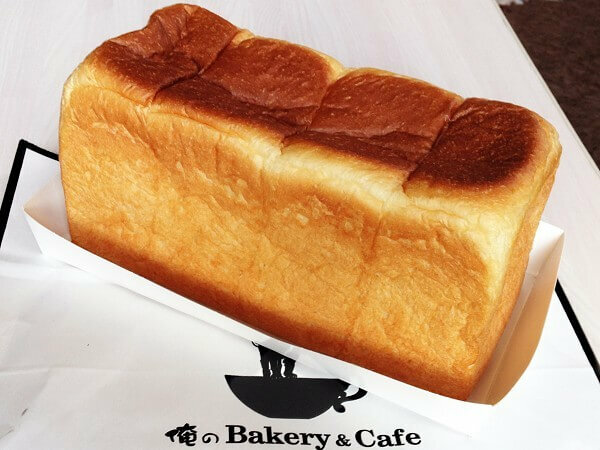 Find your favourite bread from the unique selection available in Japan!